Whether teaching how to respond to workplace violence in an office, factory/retail setting or college campus, our consulting firm uses the “Run, Hide, Fight” video as part of our curriculum. The only additional information we add is a reminder that “Run, Hide, Fight” is not linear. You may be in a situation when confronted by an active shooter, and the only logical choice is to fight before you can run or hide. After a discussion about the video, people often ask if “Run, Hide, Fight” should be taught in the K-12 setting. The short answer to the question is, “No.” The long answer is much more complicated. K-12 schools operate under a different set of rules than business. Businesses must provide training for their employees to meet OSHA regulations for safety, but the adults are expected to use that training and act as, well, adults. Courts have ruled that schools and school personnel are In loco parentis, or in the place of a parent. This gives the schools both responsibilities and consequently, liability in regards to their actions for keeping students safe. Not only are schools responsible for training students for an emergency, but also for leading the students in an emergency. Therefore, in the event of an active shooter, a teacher cannot instruct their students to run for the nearest exit, yet not make sure the students are actually trying to exit. Nor should a teacher leave behind a student who is too frightened to leave an area, especially when the child is very young. Hide is currently taught in schools under the term “lockdown.” When an active shooter is inside a school, staff members are generally instructed to lock their classroom door, cover the window if possible, turn out the lights and move the students to an area in the room where they are less likely to be hit with gun fire if the shooter fires through the door. Although this has been shown to be an effective method for keeping students out of harm’s way, many feel simply locking the door is not enough. Teachers are now being taught to barricade the room using existing furniture, extension cords or commercial products designed specifically to keep a room secure during an active shooter event. This enhanced technique of barricading overcomes weaknesses in doors such as large windows to the side of the door frame or large windows in the door itself. Fight is viewed as a last option when in direct contact with the shooter or if you do not have the option to run or hide. Should we be teaching children to fight a person with a gun? NO! There are several good reasons why this shouldn’t be taught to them. First, the active shooter event in school is rare. Depending on the age of the child, we could be causing them unnecessary fear by preparing them for something that is unlikely to affect them. Although we could have age appropriate conversations with older students about what their choices could be, parents may not agree with the message we give their child. It is better to give the parents talking points so they can have the discussion with their children. When my children were still in school, I gave them specific training on what to do in an emergency at school, church, the mall, etc. As a police officer, I have a different perspective and skill set than most parents. I could see some parents being extremely angry if I told their children what I told mine. However, I was exercising my responsibility as a parent, not a school employee. Should we teach staff members to fight? Maybe. First, we must let them know it is their choice whether or not to attack the shooter. For example, post 9-11, if anyone gets the least bit out of order on a plane, they are usually beaten by fellow passengers and duct taped to a chair. Do all the passengers attack? No. Some choose to attack, and others choose not to attack. This is what we need to teach our staff; they have a choice. If they want to learn techniques for fighting, we should use our relationship with our local law enforcement to provide the training to attack a shooter. So what do we teach in schools? There are many programs and many “experts” willing to sell their sure-fire strategy for keeping students and staff safe. Almost all are time consuming, and many are expensive. Two things schools are short of are time and money. There is little time for training and almost no budget. Strategies must be easy to learn, easy to remember and easy to use. These strategies must give staff choices and allow them to make choices based on their training and the situation. Lock Out: Since Sandy Hook, many schools are securing the perimeter of the buildings and using a camera and buzzer system to control entry to the building after the start of the school day. This is not a fool-proof method of keeping bad people out of the building, as we saw in the fall of 2013 at the McNair Discovery Learning Center when the gunman entered the building behind a parent who had been buzzed in. However, this does add one more layer to a school’s plan to keep their building secure. It is recommended that all classroom doors be locked at all times, even when class is in session and if the door is open. In the event of a threat inside the building, the door is already secured or just needs to be pulled shut. The teacher does not need to find their keys, step outside of their room into the hallway, and attempt to engage fine motor skills while potentially facing a shooter. Steps can now be taken to barricade the door. Should the teacher attempt to lead their students out of the building at the onset of the event? Are they in direct contact with the shooter? Do they know the exact location of the shooter and where the shooter is heading? Do they know they have safe passage to get outside? Can they move all of their students quickly and at once? Do they have enough information to make a good decision to leave a place where they are safe and move to an area where they may not be safe? With so many questions, it reinforces the need to train our staff and allow them to decide a course of action based on their training and the circumstances. Get Out: When in direct contact with an active shooter, you should do everything possible to get your students and yourself out of harm’s way as quickly as possible. This means everything from heading to the nearest exit to using a chair to break a classroom window and tossing students out the window. Or, you may be in a barricaded room and no longer feel the room is safe. Get out anyway possible. Take Out. A teacher is on the third floor of an old school. They have successfully barricaded their classroom and did not attempt to leave because they had limited information on the location of the shooter. But, this is not an active shooter event. A noncustodial parent has already killed his ex-wife and is at the school to murder his child and commit suicide. He knows the police are on the way and has not wasted any time getting to his child’s classroom. He has brought the tools necessary to breach the door. It is unlikely that you or your students can survive unharmed from a jump from the third story. If that teacher chooses to take out the shooter, there are no rules. They may use anything in their room as a weapon and do whatever it takes to keep their students safe. However, if they choose to remain passive, that is also their choice. Just as “Run, Hide, Fight” is not linear, neither is “Lock Out, Get Out, Take Out.” Staff members are trained in their choices and allowed to make their choice based on that training and the current situation. However, it should be stressed that when in contact with the active shooter, lockout is not a choice. Staff and students should put as much distance between themselves and the gunman, or the staff member should do whatever is necessary to take out the shooter. “Run, Hide, Fight” is an excellent training tool when working in colleges, office settings and factories. However, with the responsibility schools have for their students and range of ages of the students in schools, “Run, Hide, Fight” should not be the model used for school safety. 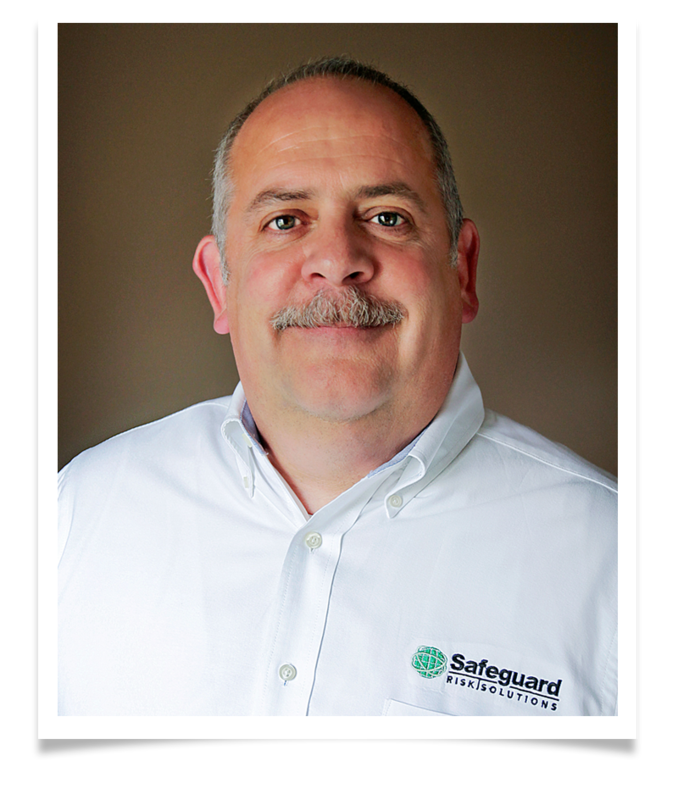 Gary L. Sigrist Jr. is the CEO and president of Safeguard Risk Solutions. He previously served as the readiness and emergency management in schools (REMS) project director for the South-Western City School District in Grove City, Ohio.